When talking about 3D animation software, conversations usually go immediately towards 3D Studio Max and Maya, but that doesn’t mean there aren’t other equally robust software packages out there. What began as a contest winning ray-tracer submission in 1990 grew over the next decade to become a complete 3D art package. 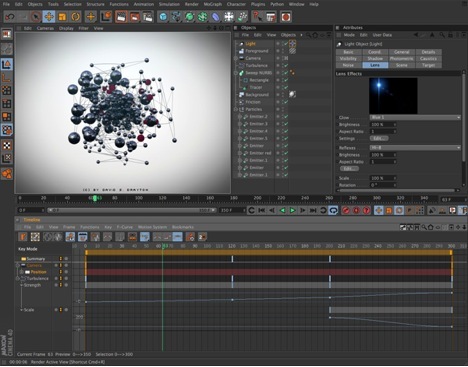 From 2001 to present day, Maxon’s Cinema 4D suite has been upgraded, fully fleshed out, and polished to the point that it can stand up against any of its competition. Before getting down to the overview of what technological features it’s capable of, let’s first have some fun and take a look at what top tier industry projects Cinema 4D has been a part of in the past few years. Here are some of the impressive films that used this software: Beowulf, The Golden Compass, Surf’s Up, Monster House, War of the Worlds, Chronicles of Narnia, Serenity, Inception, Doom, Van Helsing, The Polar Express, King Arthur, Open Season, Surrogates, Spider-Man 3, and even Tron: Legacy! Customizable toolbars, layouts, and menus. Collapsible managers and palettes. Extensive API. Various importers and BodyPaint 3D exchange with 3ds Max, Maya, Softimage, & LightWave 3D. Procedural shaders, texture baking, sub-surface scattering, and UV mapping optimizer. Hard, soft, and area shadows, caustics, custom lens flares, and per object lighting options. Render 32 bits per pixel with adaptive anti-aliasing, multi-pass output, and depth of field. Ambient occlusion, global illumination (IR, QMC, Mixed), sky shader, & artistic sketch rendering. Pyrocluster volumetric particle rendering and vector motion blurring. PowerSlider animation toolbar for playback and keyframe manipulation. F-Curve snapshots, reduced modification curves, virtual first-person walkthrough tools. Animation constraints: PSR, up-vector, clamp, mirror, parent, aim, and spring. Motion graph objects: cloner, fracture, matrix, MoInstance, MoText, tracer, and spline mask. Character animation tools for mirroring, naming, painting, and various VAMP tools. Character animation deformers for skin, cluster, morph, jiggle, point cache, squash and stretch. Guide based hair system with hair instancing, hair dynamics, feather objects, and fur system. Hair styling tools: move, scale, rotate, brush, comb, clump, curl, cut, push, straighten, add guides, mirror, set roots. Hair shading system with multiple maps, root and tip colors, variable transparency, thickness, length, scale, frizz, kink, density, clump, tighten, displace, bend, curl, twist, wave, straighten. Advanced presets, demo scenes, & broadcast library including materials, cameras, and objects. Open GL 3.0 support (if supported by OS, driver, and hardware). Camera deformer and smoothing deformer for modeling. Support of IES (Illuminating Engineering Society) light data. Color temperature in Kelvin, and photometric brightness setting in Candela and lumen. Render updates for color profile support, camera white balance, and linear workflow. Picture viewer with RAM playback (including sound), history, AB compare, histogram, layer view, color correction, full screen mode. Render queue batch rendering system, and network rendering clients. Dynamic animation updates for soft and rigid body dynamics, joints, springs, and motors. Joints with full dynamic IK, PoseMorph morphing and hierarchical mixing system. Weighting manager and tools, correction deformer, surface deformer, and mesh deformer. Visualization library including materials, presets, and architectural objects. The two lists above include the most noteworthy features out of hundreds of boastful specs. If it’s missing something you were hoping to find, then I urge you to scroll through the complete overview here. 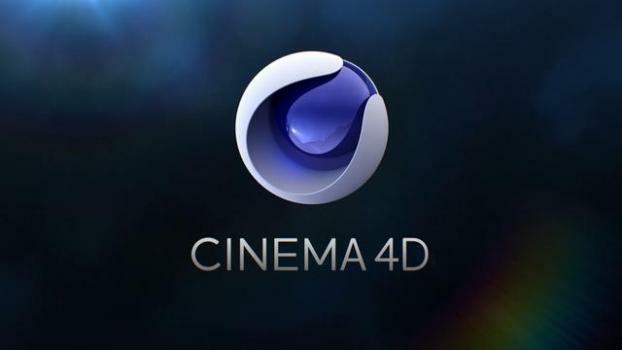 The full version of Cinema 4D Studio R12 is available for all Windows version beyond – and including – Windows 2003, and also Mac OS X 10.5.8 and up. At least an Intel Pentium 4 or Athlon 64 level CPU is required, but a few processors are not supported. You can look at the full CPU and video card requirements here.